Does anyone have any photos of Stinson's in RAF service, particularly any still flying? As far as I know there's only one Stinson in the UK at all, an airworthy one in US markings. 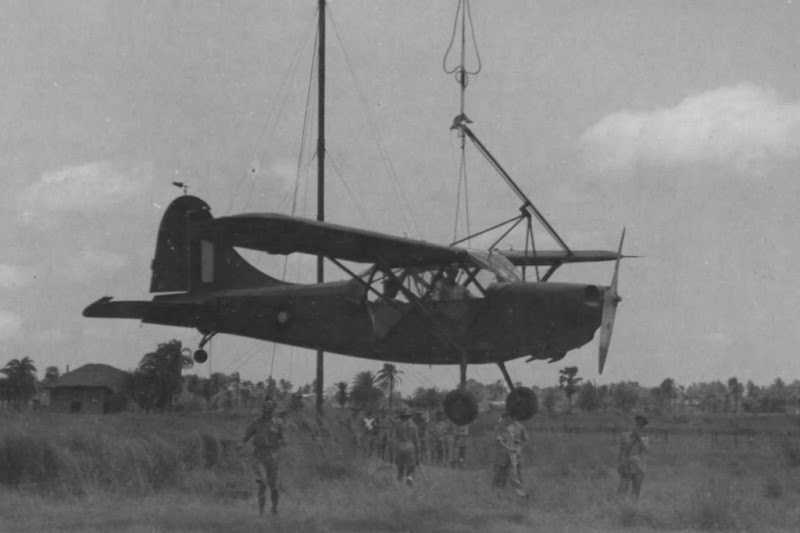 As far as I know, the RAF only used Stinson L-5's in the far east, so would have the SEAC (South East Asia Command) roundel, which is dark blue on the outside and light blue inside, changed from the usual blue/white/red so the red circle wouldn't be misidentified as a Japanese aircraft. How would one contact Duncan? Here's a photo of a Commonwealth Sentinel being used for Brodie trials. There are a whole series of shots of that aircraft. Nice shot, where did you find them? They are from the National Archives.